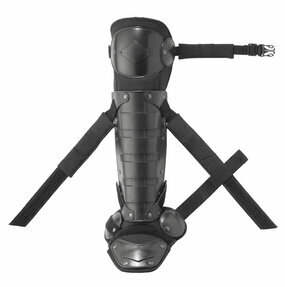 Knee and shin protector made of impact-resistant shock absorbing polypropylene. The anatomically shaped protectors for knee, meniscus, shinbone, ankle and foot area provide optimal protection and flexibility. 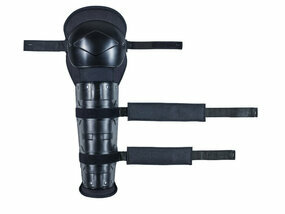 The double protector shell provides a high impact protection for the knee and the patella tendon. A large inner padding ensures a comfortable fit. Diagonal closure on the shin. Certified protection class VPAM KDIW (Edition 18.05.2011), protection class W3. Fire and chemical protection. 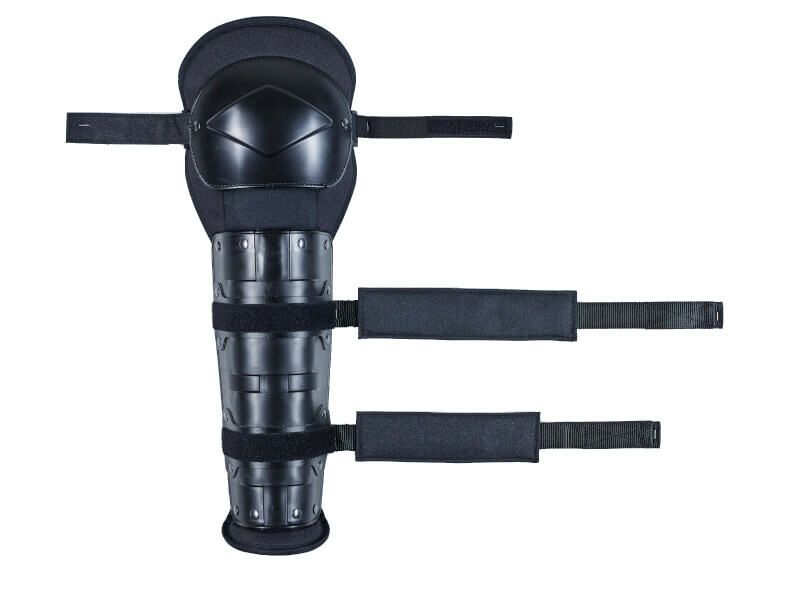 Knee and shin protector made of impact-resistant shock absorbing polypropylene. Anatomically shaped protectors for knee, meniscus (left and right), shin, ankle and foot area provide good protection and flexibility. The oval protector shell offers in addition to the high impact protection for the knee also stab protection according to the German Technical Guideline. A soft foam protector protects the patella tendon. Large inner padding ensures a comfortable fit. Diagonal closure on the shin. Certified protection class VPAM KDIW (Edition 18.05.2011), protection class W3. Fire and chemical protection. 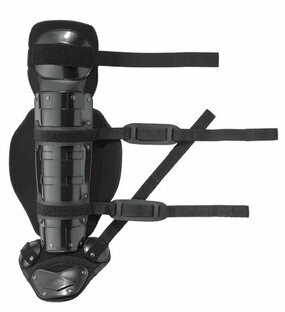 Knee and shin protector made of impact-resistant shock absorbing polypropylene. The anatomically shaped protectors for the knee, meniscus, shin, ankle and foot area provide optimal protection and flexibility. The large protector shell provides a high impact protection for the knee. A soft foam protector protects the patella tendon. Horizontal closure on the shin. Flame retardant materials on request. Certified protection class VPAM KDIW (Edition 18.05.2011), protection class W3. 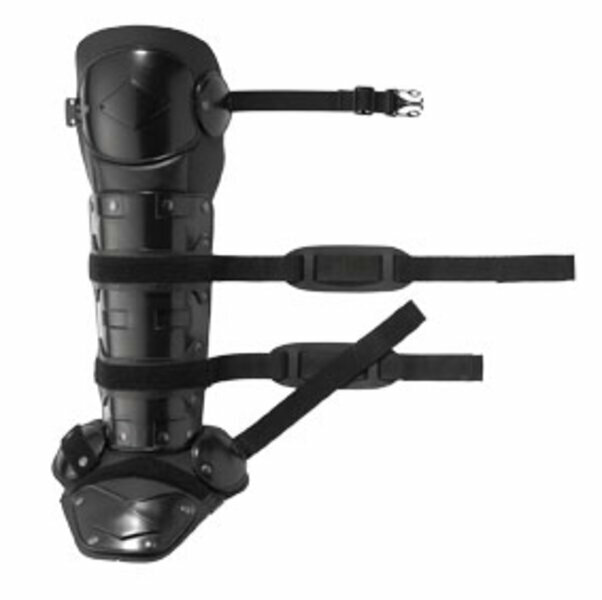 Knee and shin protector made of impact-resistant shock absorbing polypropylene. Anatomically shaped protectors for the knee, meniscus, shin, ankle and foot area provide good protection and flexibility. The oval protector shell provides a high impact protection for the knee. A soft foam protector protects the patella tendon. Horizontal closure on the shin. Flame retardant materials on request. Certified protection class VPAM KDIW (Edition 18.05.2011), protection class W3. 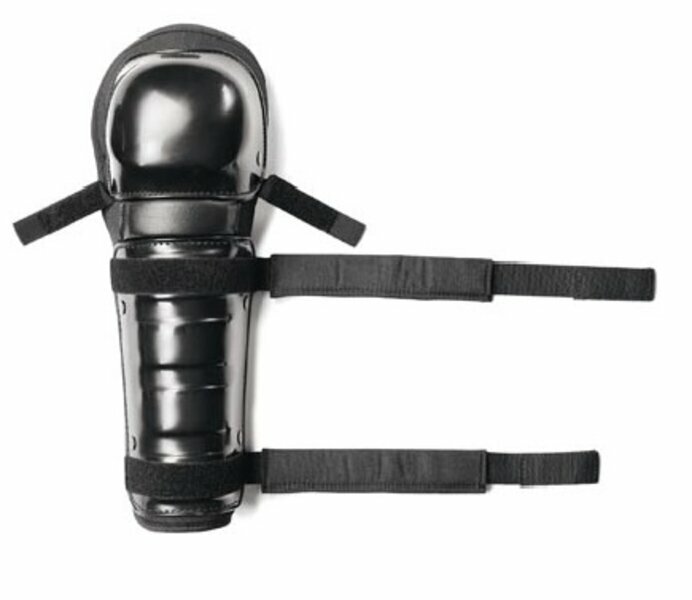 Knee and shin protector made of impact-resistant shock absorbing polypropylene. The anatomically shaped protectors for the knee, meniscus, shin, ankle and foot area provide optimal protection and flexibility. The oval protector shell and the side meniscus protection provide a high impact protection for the knee. A soft foam protector protects the patella tendon. Diagonal closure on the shin. Flame retardant materials on request. Certified protection class VPAM KDIW (Edition 18.05.2011), protection class W3. 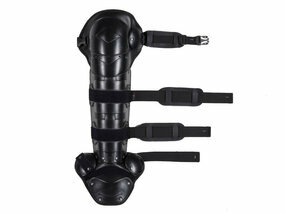 Knee and shin protection made of impact-resistant shock absorbing polypropylene. The anatomically shaped protectors for the knee, shin, ankle and foot area provide optimal protection and flexibility. 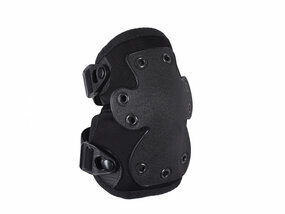 The round protector shell provides a high impact protection for the knee. A soft foam protector protects the patella tendon. A large inner padding with additional lightweight impact protection for the calves ensures a comfortable fit. Horizontal closure on the shin. Flame retardant materials on request. Certified protection class VPAM KDIW (Edition 18.05.2011), protection class W3. Knee and shin protector made of impact-resistant shock absorbing polypropylene. Anatomically shaped protectors for the knee, meniscus, shin, ankle and foot area provide good protection and flexibility. 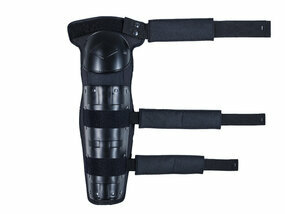 The double protector shell provides a high impact protection for the knee and the patella tendon. Horizontal closure on the shin. Flame retardant materials on request. Certified protection class VPAM KDIW (Edition 18.05.2011), protection class W3. 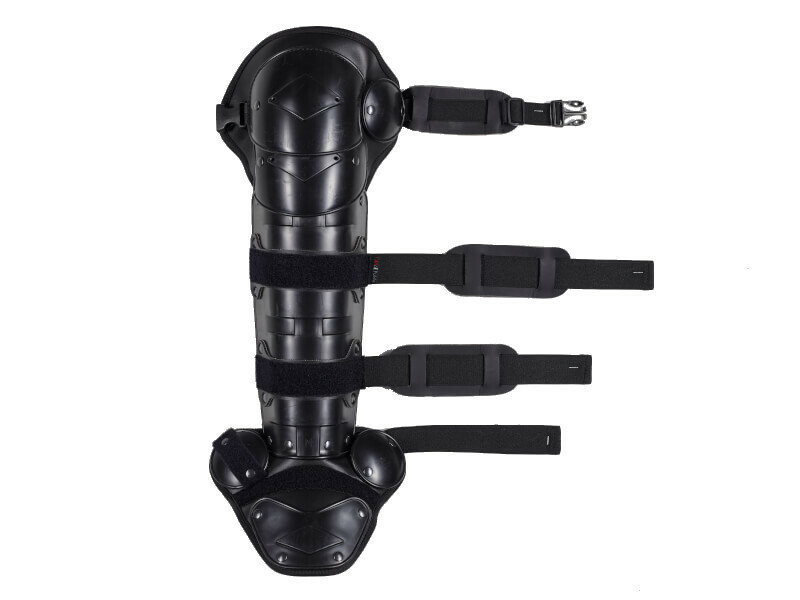 Knee and shin protection made of impact-resistant shock absorbing polypropylene. The anatomically shaped protectors for the knee and shin provide optimal protection and flexibility. The round protector shell provides a high impact protection for the knee. A soft foam protector protects the patella tendon. A large inner padding ensures a comfortable fit. Horizontal closure on the shin. All protectors are removable. Certified protection class VPAM KDIW (Edition 18.05.2011), protection class W3. Fire and chemical protection. Knee and shin protection made of high impact-resistant shock absorbing polypropylene. The anatomically shaped protectors for the knee and shin provide optimal protection and flexibility. 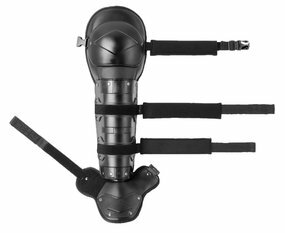 The large protector shell provides a high impact protection for the knee. A soft foam protector protects the patella tendon. Horizontal closure on the shin. Flame retardant materials on request. Certified protection class VPAM KDIW (Edition 18.05.2011), protection class W3. Knee and shin protection made of impact-resistant shock absorbing polypropylene. The anatomically shaped protectors for the knee and shin provide optimal protection and high flexibility. 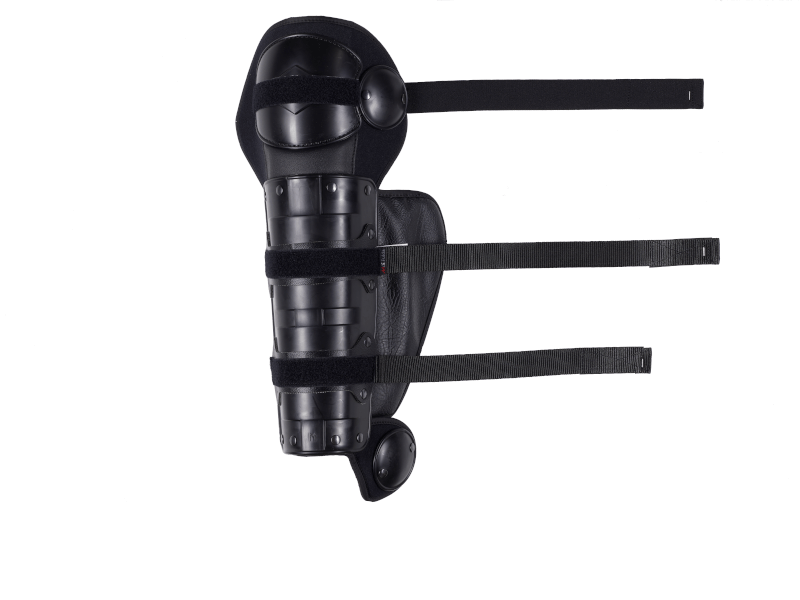 The compact protector shell provides a high impact protection for the knee. Soft foam protector protects the patella tendon. Horizontal closure on the shin. Flame retardant materials on request. Certified protection class VPAM KDIW (Edition 18.05.2011), protection class W3. 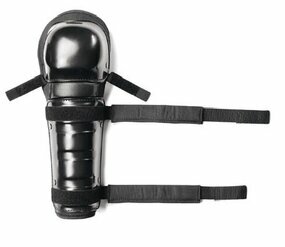 Knee and shin protector for the mounted police made of impact-resistant shock absorbing polypropylene. The anatomically shaped protectors for the knee, meniscus, shin and outer ankle provide optimal protection, flexibility and high movability. 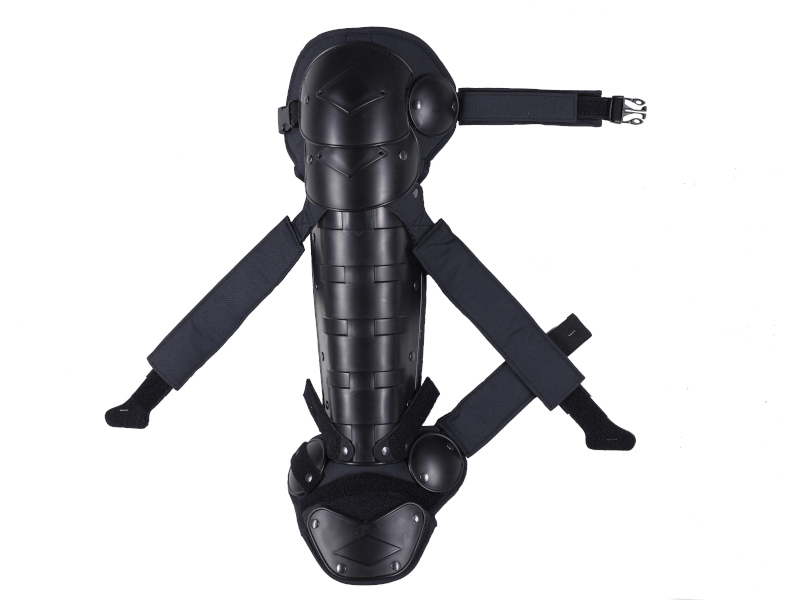 Due to the special construction of the leg protection, the rider retains feeling for the horse. The oval protector shell and the side meniscus protection provide a high impact protection for the knee. A soft foam protector protects the patella tendon. Horizontal closure on the shin. Flame retardant materials on request. Certified protection class VPAM KDIW (Edition 18.05.2011), protection class W3. Anatomically shaped shin protector made of impact-resistant shock absorbing polypropylene allows high flexibility. Padding provides a comfortable fit. Horizontal closure on the shin. Flame retardant materials on request. Protection class W3. Professional and anatomically shaped knee and elbow protector with anti-slip materials for all mission situations. Impact-resistant, shock absorbing material with absorbent foam provides high-energy absorption. 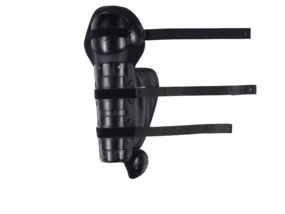 Elastic straps with hook and loop closers with double clip quick release for a secure fit. Flame retardant materials on request.